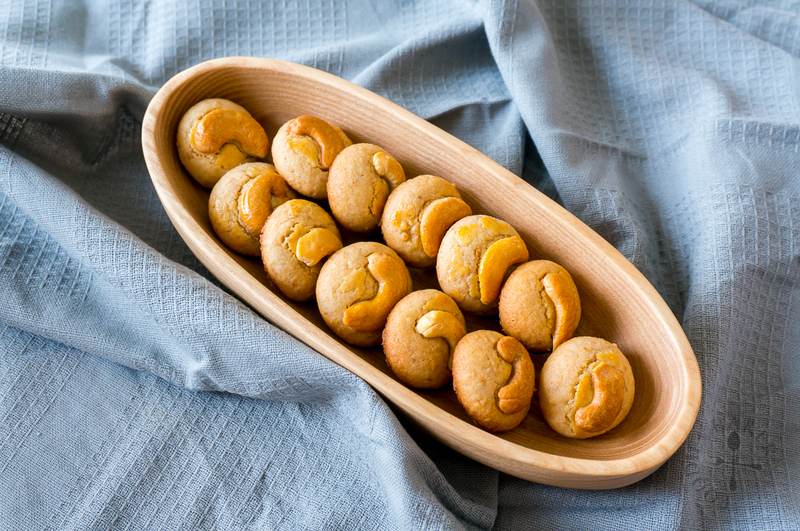 Here is a another new Chinese New Year goodie that I’ve baked this year – cashew cookies! 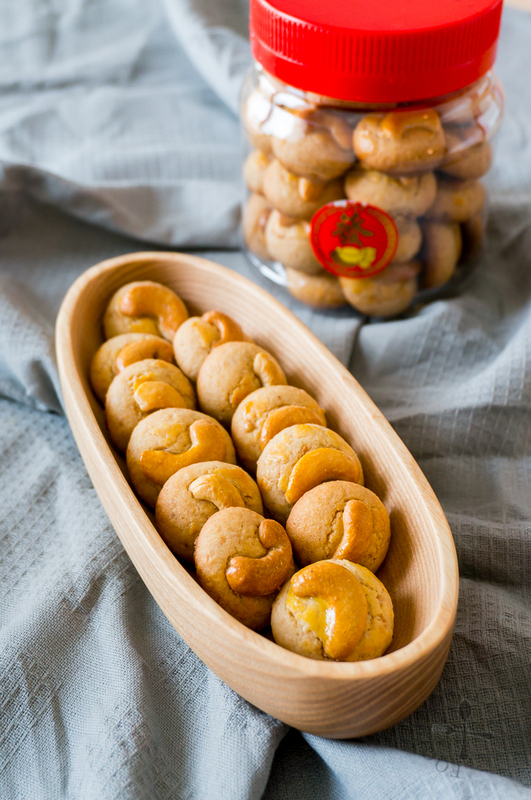 In the past, due to work, I only have time to make guaranteed-success Chinese New Year goodies, such as my pineapple tarts or kueh lapis, as I don’t have time to experiment on recipes. But this year is different! I have tried out 5 new recipes (6 including the Baked Crab Sticks!) thus far and I still have many more to try! Cashew cookies are never part of our Chinese New Year Goodie ensemble, maybe because there are just too many other types of goodies available, like love letters (kueh kapit), bak kwa (pork jerky), kueh bangkit (tapioca cookies), spicy dried shrimp rolls… but I decided to give cashew cookies a try this time round because cashew nuts are relatively cheaper here and well, it’s easier to make them than trying to make any of those listed above. I tried 2 recipes, first from Small Small Baker (SSB) and the second one from My Kitchen Snippets (MKS). 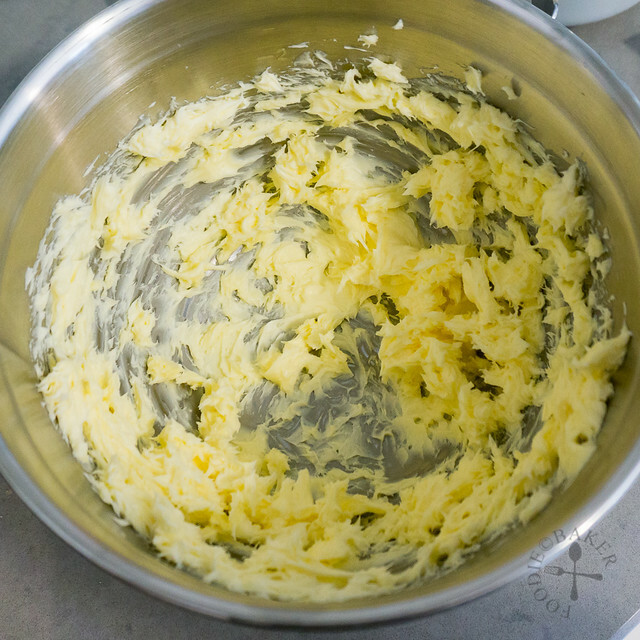 One stark difference from both recipes is the amount of ground cashew nuts used – SSB uses only 80 grams of ground cashew for every 200 grams of butter while MKS uses 200 grams of ground cashew for 200 grams of butter. I thought MKS’ cookies will surely have a stronger cashew taste but boy I was so wrong. 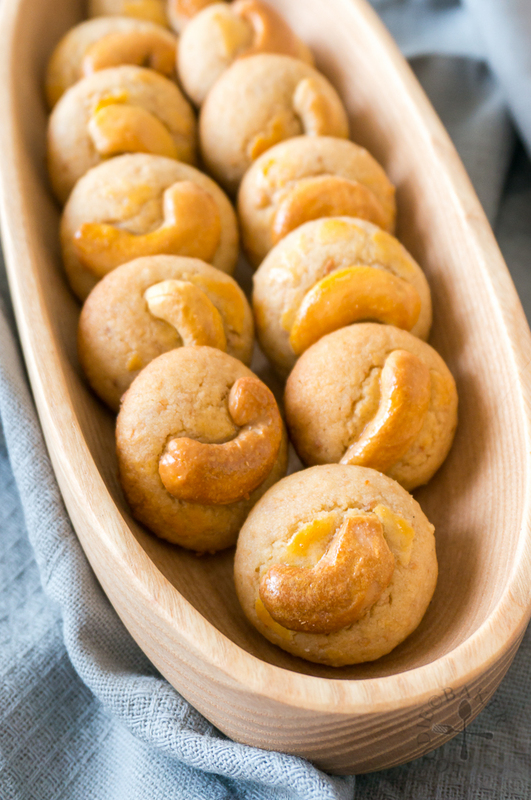 Both cookies actually taste similar (in terms of cashew nut taste) and X and his colleagues couldn’t tell which one has more cashew nuts in them as well. I’m not sure if this is due to the quality of the cashew nuts or they are just mild in flavour… if you have baked or eaten lots of cashew cookies or cashew nuts, please let me know whether cashew has a strong nutty flavour! 1) Split some cashew nuts in half. 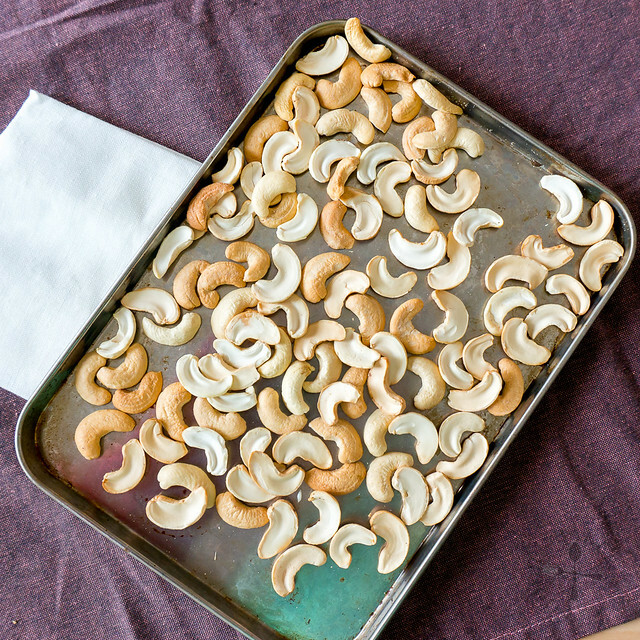 2) Toast the cashew nut halves and whole cashew nuts. 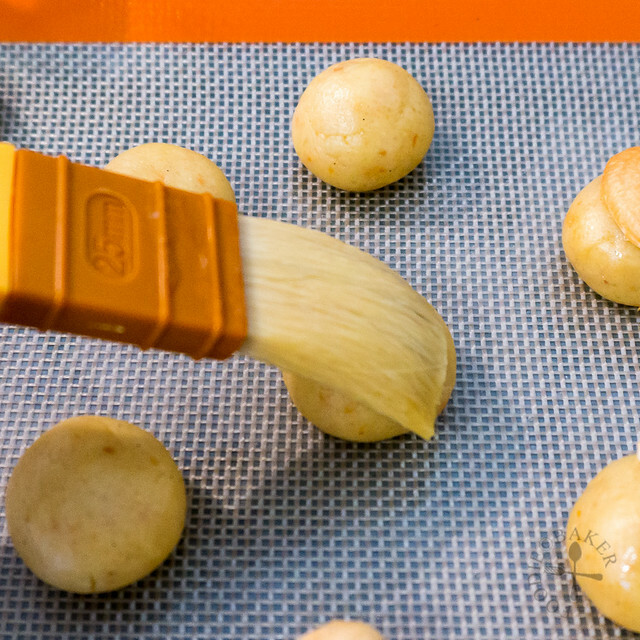 3) Place the whole cashew nuts in a food process. 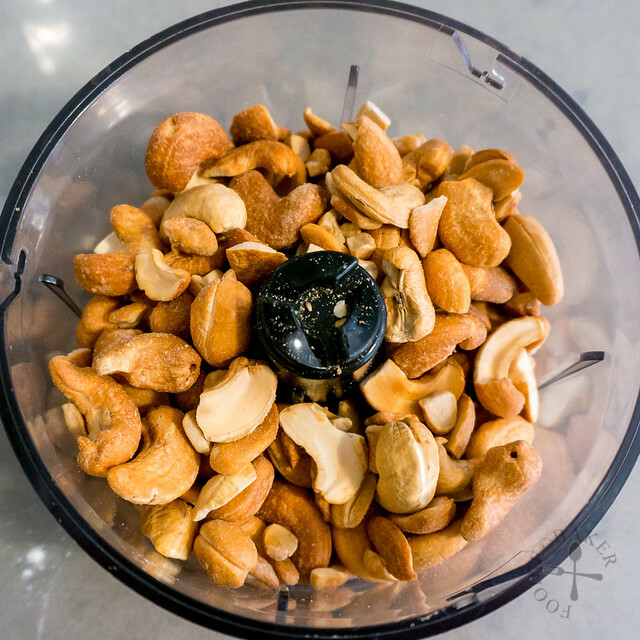 4) Process into ground nuts. 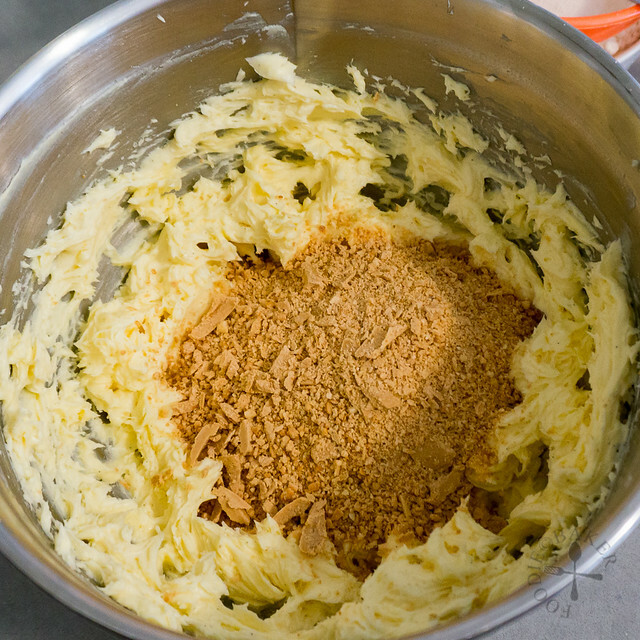 5) Cream butter with electric mixer. 6) Sift in icing sugar and cream until light and fluffy. 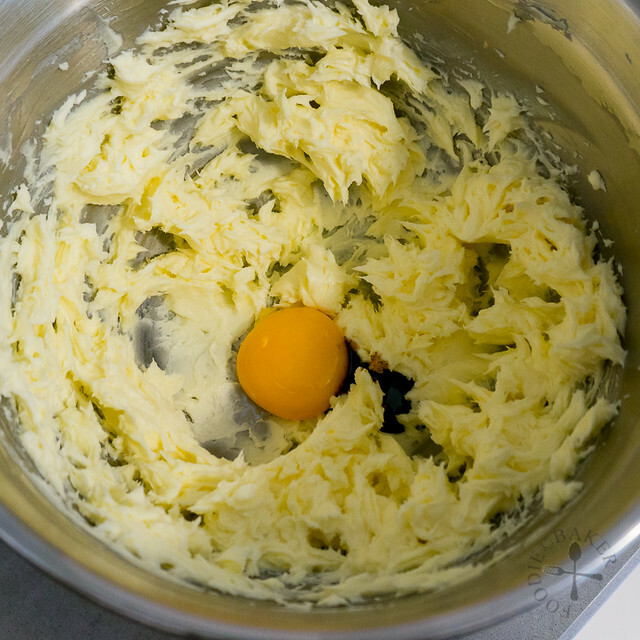 7) Add in egg yolk and vanilla and cream until incorporated. 8) Beat in the nuts until incorporated. 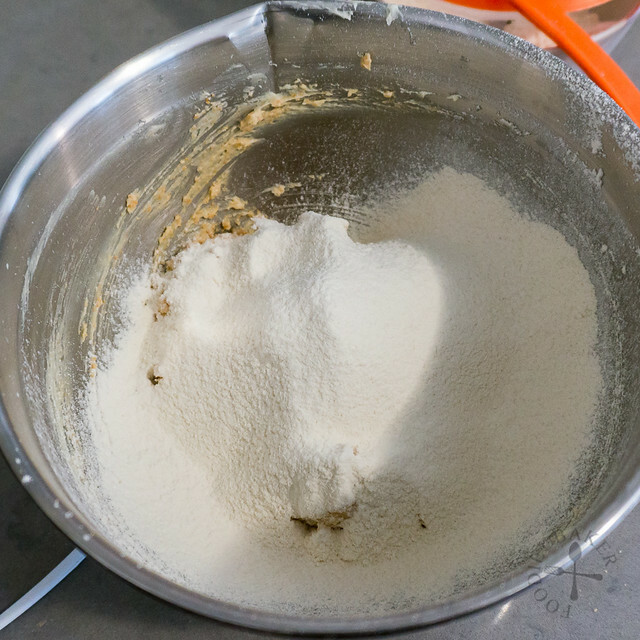 9) Sift in the dry ingredients. 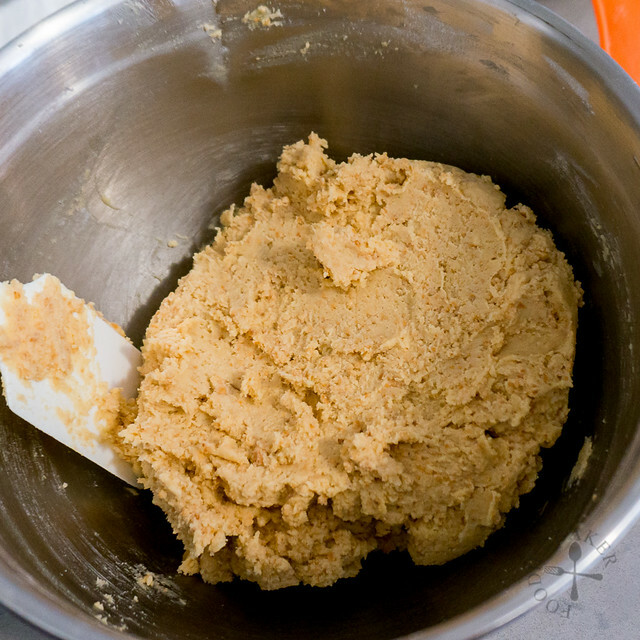 10) Mix to form a dough and chill. 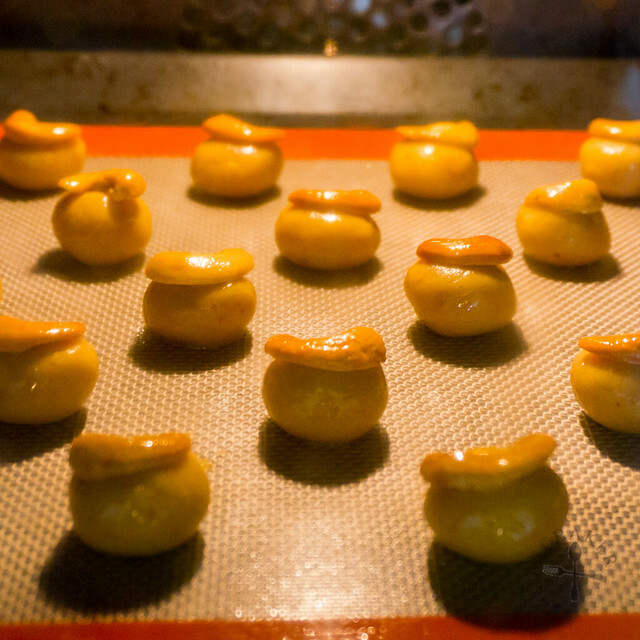 11) Roll the dough into small balls. 12) Brush with egg wash.
13) Top with a cashew nut half. 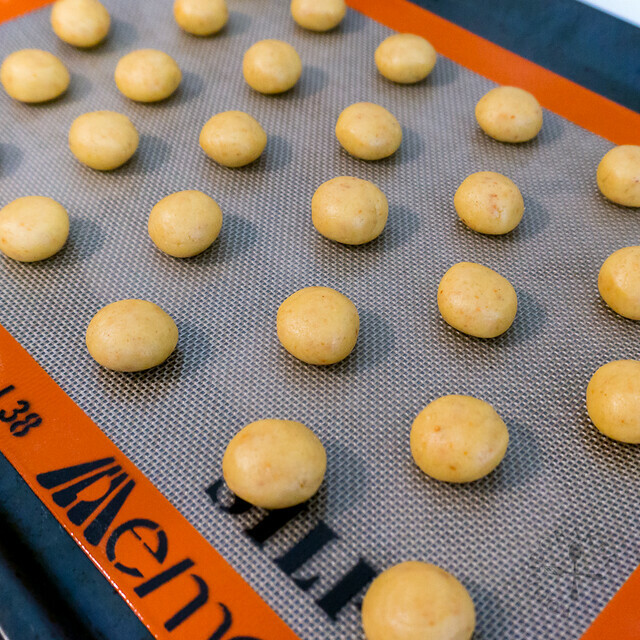 14) Brush again with egg wash.
15) Send the cookies into the oven! Edit 13/1/2017: Oh my god, what is wrong with me? 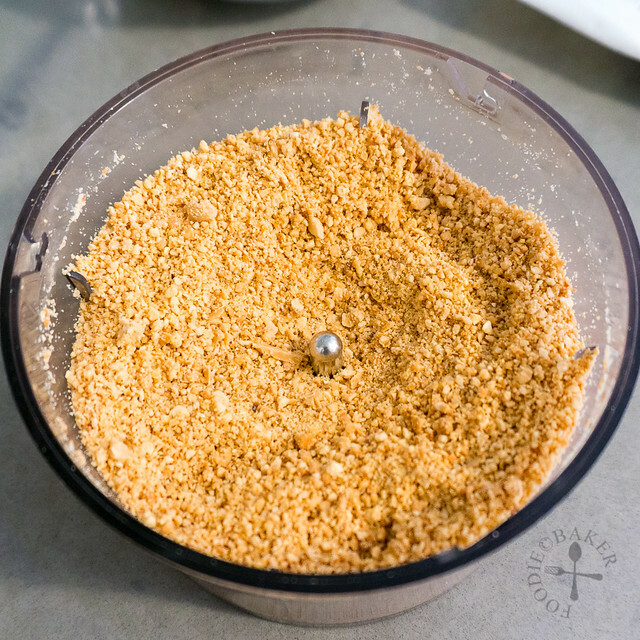 I can’t believe I left out two ingredients from this recipe – cornflour and baking powder. I must be half-drunk/half-asleep when I typed this recipe – and I’m so terribly sorry. 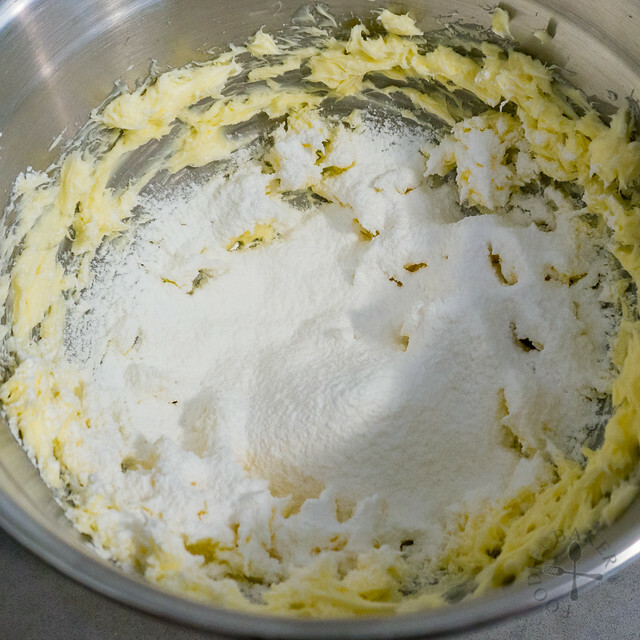 As such, I think my recipe is not accurate anymore because to be completely honest, I don’t remember if I added the baking powder into my batch of cookies. Hence I’m taking down this recipe and after testing the recipe again (perhaps in 2 to 3 months time), I will reupload the recipe. In the meantime, please check out the original recipe at My Kitchen Snippets. I checked that MKS uses 60g cornflour and you didn’t. Is there any reason for the omission? Hi Tammy, my utmost apologies! I actually left out that ingredient. Do use the cornflour as I think it’s the reason for the softer texture. you didn’t add baking soda as MKS has add 1/2 tsp. Hi Janet, you are right, I miss out the baking powder in the recipe. As such, I’m taking down this recipe because I don’t remember if I added them into mine. I will retest the recipe and reupload them again in the near future. Thank you so much for pointing it out! 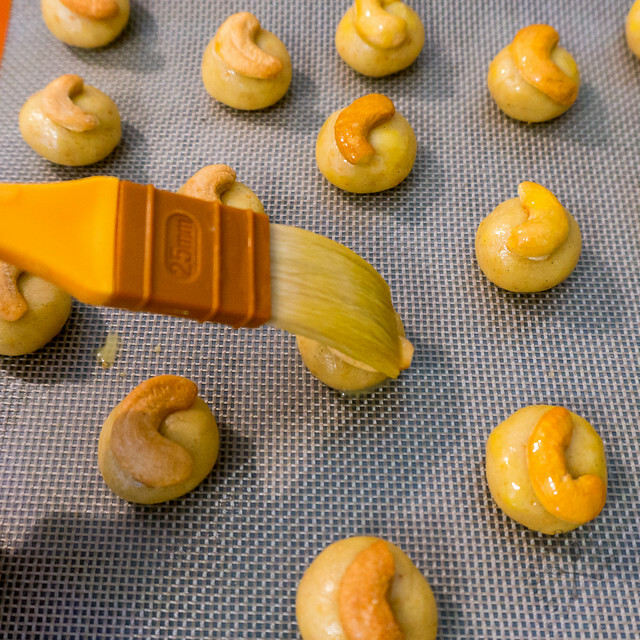 Who doesn’t love cashews? Placing a cashew on top of each really amps up the appeal factor. Very nice, Jasline, and a fitting cookie to mark the New Year. These look like a treat that would not last long in our house! How pretty they are and I’m sure very delicious too. 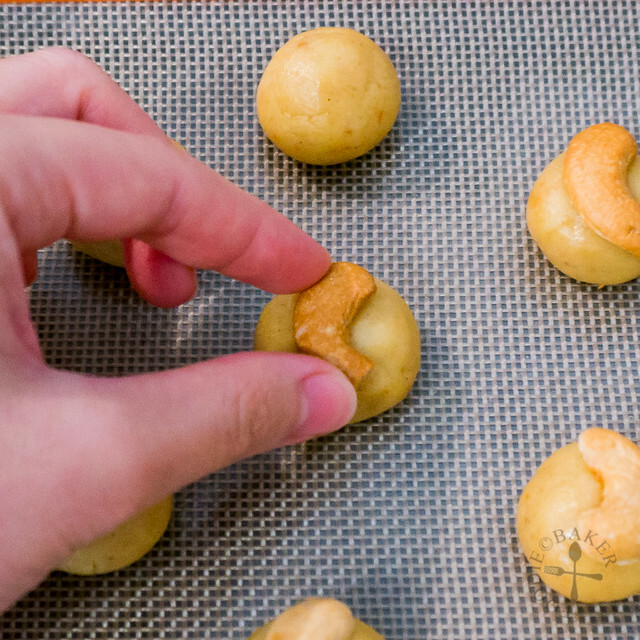 Jasline your cashew cookies are gorgeous and just cute and small enough to put in my decorative CNY container for the holidays. Wishing you a safe and prosperous new year!! Pinning, sharing!!! 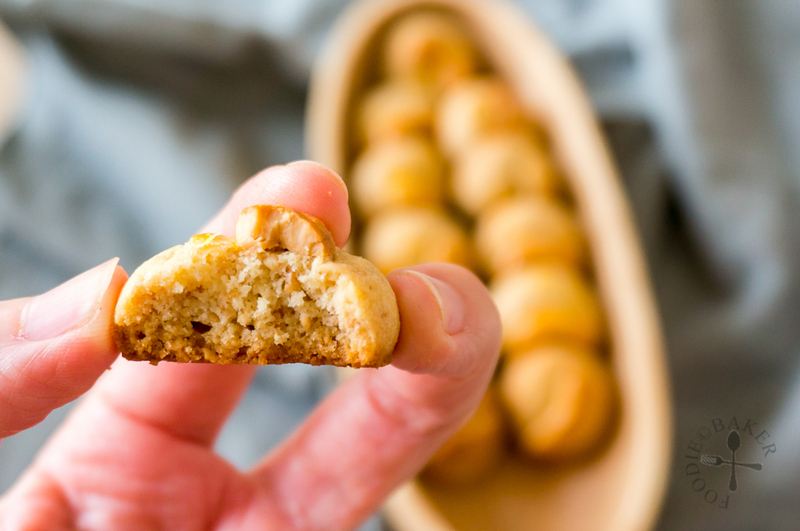 Love this cashew cookie, a great spin from the usual almond. 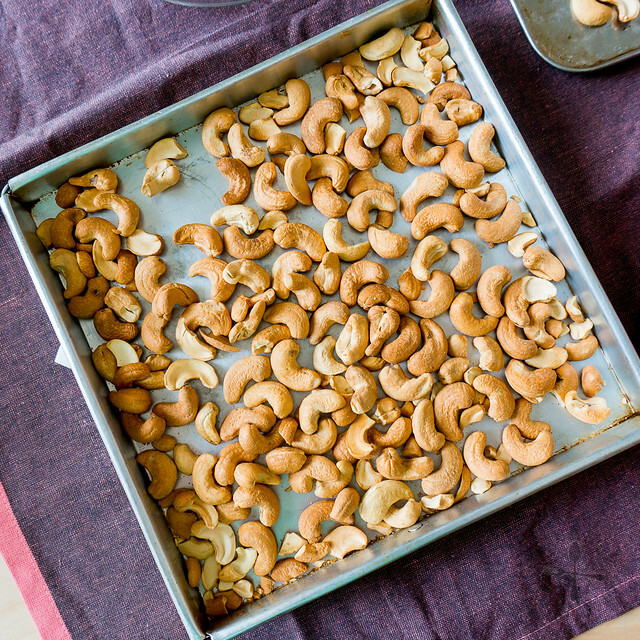 We love cashew nuts…it’s got such a distinctly buttery flavor and taste. I find it’s quite strong eaten straight or in a savory way but when baked, it’s much milder than I expected. It was interesting about the 2 recipes. Thanks for sharing! I bought a pack of baked cashew nuts … but gone before I could use to back CNY cookies. Wanna grab some from you !